IBM Bluemix is ​​a cloud computing tool that combines the platform as a service (PaaS) with infrastructure as a service (IaaS), it was developed by IBM. It allows to use several programming languages ​​and services with DevOps tools. It designed to help developers create and run modern applications and services. It gives developers instant access to the calculations and services they need to quickly launch projects, repeat them continuously and make them evolve successfully. With integrated services for mobile devices, IoT, Watson and others, IBM Bluemix is ​​an ideal platform to power the next wave of applications that thrive with data. Use powerful open source technologies on runtime environments, containers, and virtual machines to run your applications and services. Turn your raw data into relevant information to prepare for consumption and use in production applications. 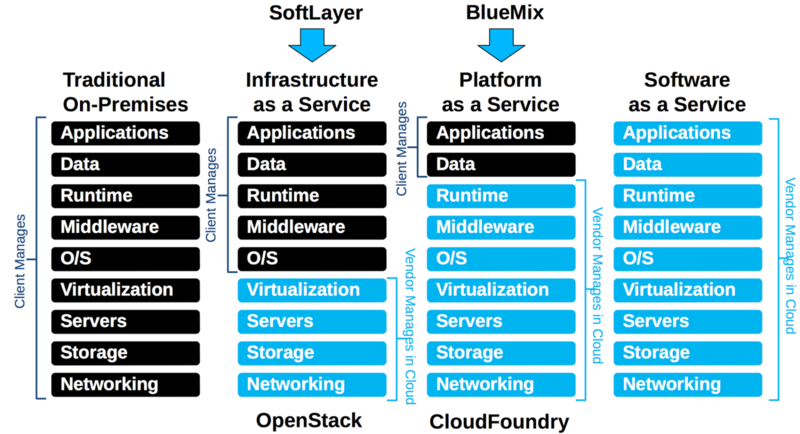 Bluemix is ​​distributed as a single, consistent platform on a public, local or dedicated cloud. Start anywhere and develop easily as your strategy evolves.